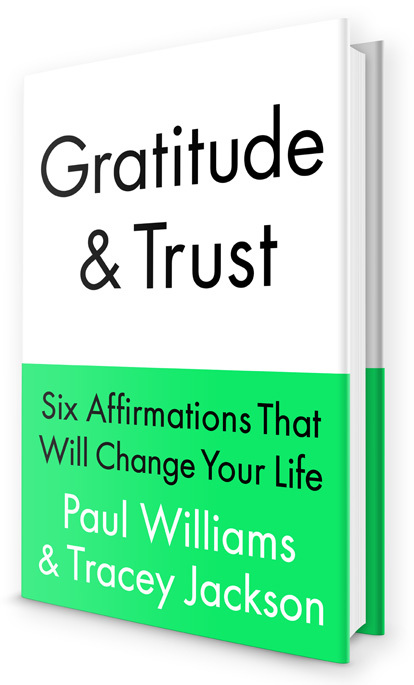 That’s Oscar- and Grammy-winning composer Paul Williams, describing his first — and disastrous — encounter with comedy writer Tracey Jackson, the co-author of his new book, Gratitude & Trust: Six Affirmations That Will Change Your Life. “I was drunk,” admits Williams, “and Tracey walked into the bedroom where Mitchum and I were getting high. (I’m 24 years sober now, but in those days I would never pass up a little herb, and Bob Mitchum alwayshad a little herb.) Tracey said the kindest thing — ‘I’ve always loved your music’ — but my response was sexist, arrogant and shallow. I said something really, really rude.